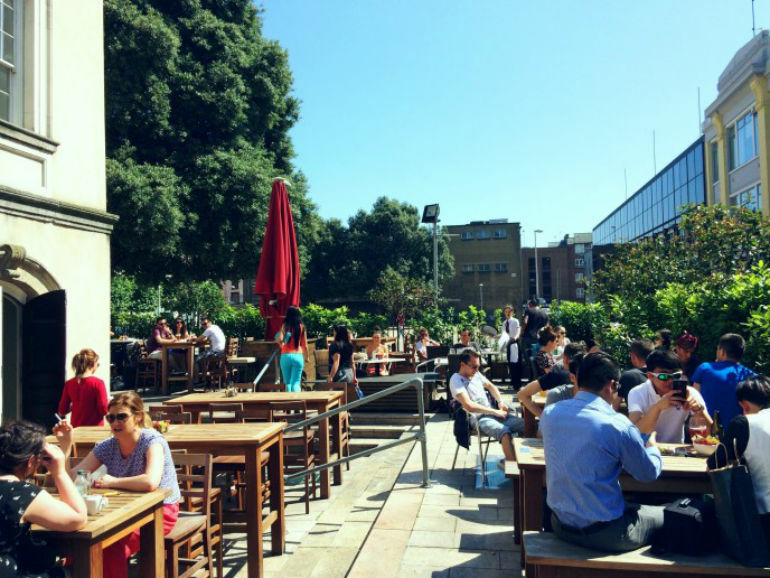 Sunglasses season is getting closer and closer, so we thought we’d narrow down our top 10 outdoor settings to grab a well deserved treat and people watch in the city. 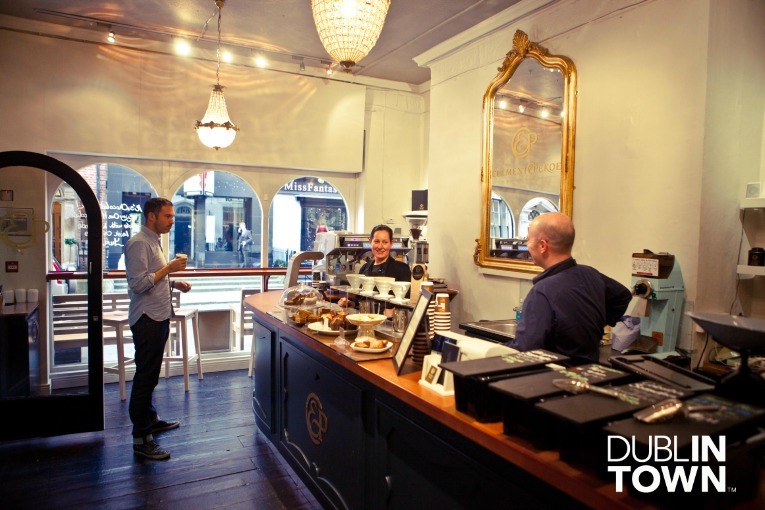 A neighborhood café located on the bustling South William Street, Clement & Pekoe specialise in all things tea & coffee. Not only do they sell it, they brew it, talk about it and of course consume it. 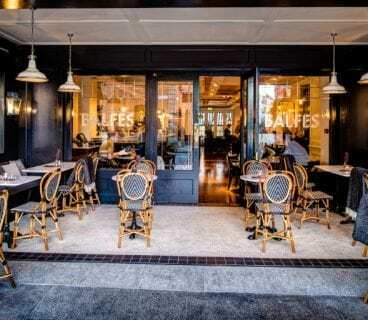 This café is one of the best places to pop into for a morning fix or an evening wind-down to watch the world go by from their gorgeous outdoor seating deck, slap bang in the middle of South William Street. 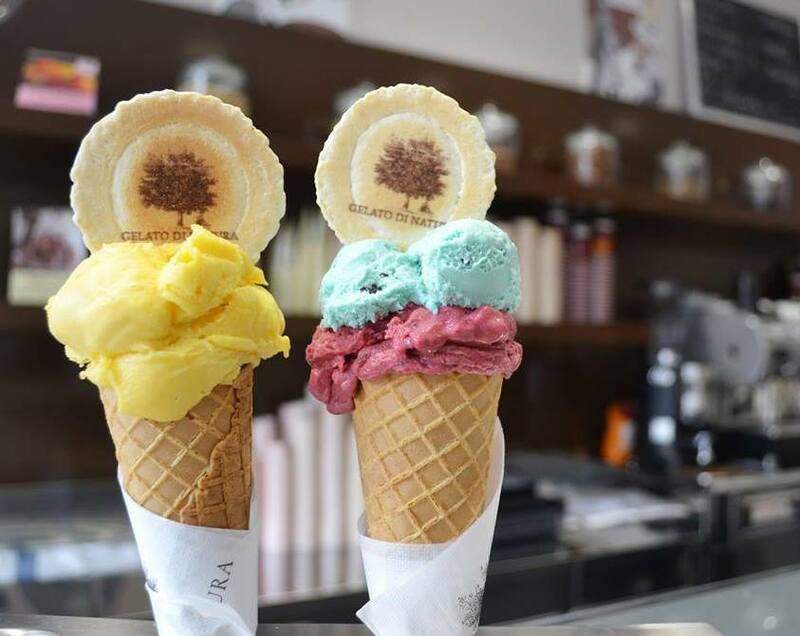 One of Dublin city’s rare authentic Italian Gelato parlours Suso is certainly worth a visit. If you like creamy soft Italian style ice-cream in a huge variety of flavours then this is the place for you. With great prices and delicious coffee and muffins (on the off chance you’re not in the mood for some ice-cream) Suso is sure to satisfy your lunch time sweet tooth. The seating area outside makes this place all the more inviting to lounge back and take a break from the hustle and bustle of O’Connell Street. A family owned and run Irish business this historic renovated church is one of the North sides top scenic locations to sit back relax and enjoy watching the crowds of Mary and Jervis Street. Whether it is tea or coffee, dinner or dessert it is guaranteed to be a memorable experience. 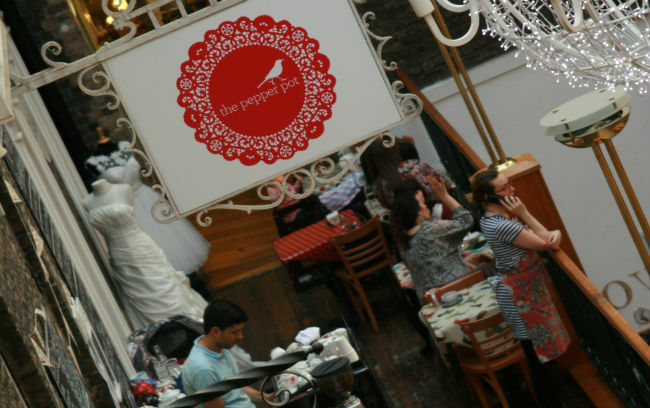 One of our favourite places to grab a treat is the Pepper Pot café. This café caters to every daily craving from homemade bagels to salads to tasty seasonal tarts they have it all. And where better to enjoy your treats on a sunny Dublin afternoon than the famous steps of the Powerscourt centre. 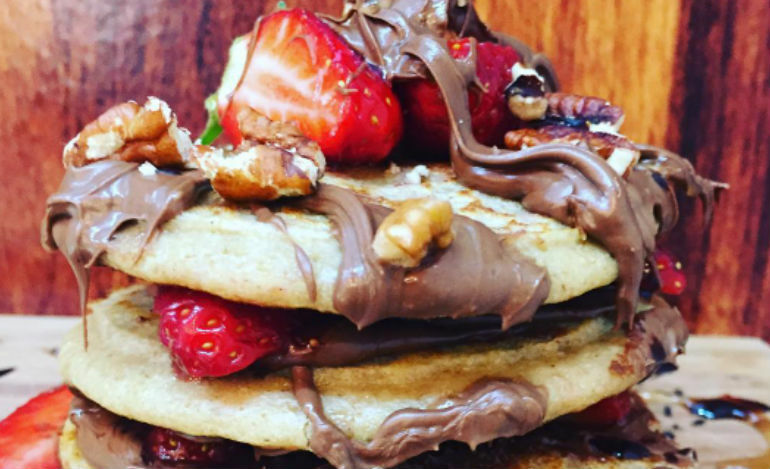 Póg have created the perfect balance between health and indulgence. For the health conscious person that still would like a treat without feeling guilty. All products are fat free, Gluten free, low GI and low in sugar . A great place to spend time with friends and watch the passing crowds of Bachelors Walk. Want to know where to get the best 99’? 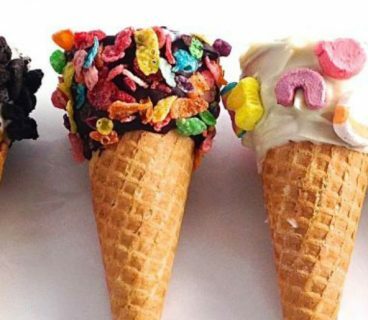 Look no further, Cones & Co is the place to be. 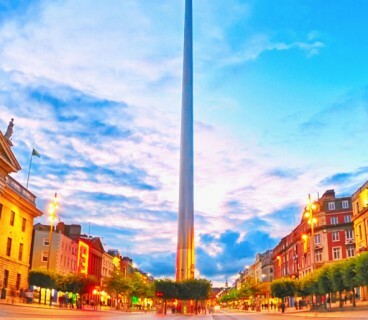 This quirky and unique café is located at the top of Dawson Street. They serve everything you could possibly want for a sneaky treat. A great place to even grab a coffee and relax outside with scenic views of Stephens Green right across the street. 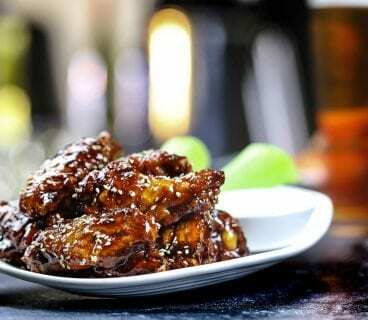 One of the city’s busiest bar & restaurants, it is the ultimate spot to sit outside on a sunny day. 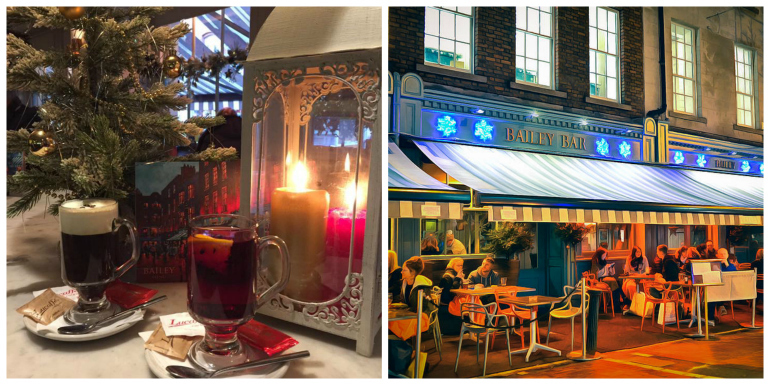 Whether you are just in for a quick bite at lunch time or hitting The Bailey for that well deserved class of wine on a Friday evening, they cater to all. Even when the sun goes in the outdoor heaters turn on and blankets are dispersed. The Bailey knows how to people watch in style. Fancy a guilt free treat? Get yourself down to Mooch on Dawson Street asap. 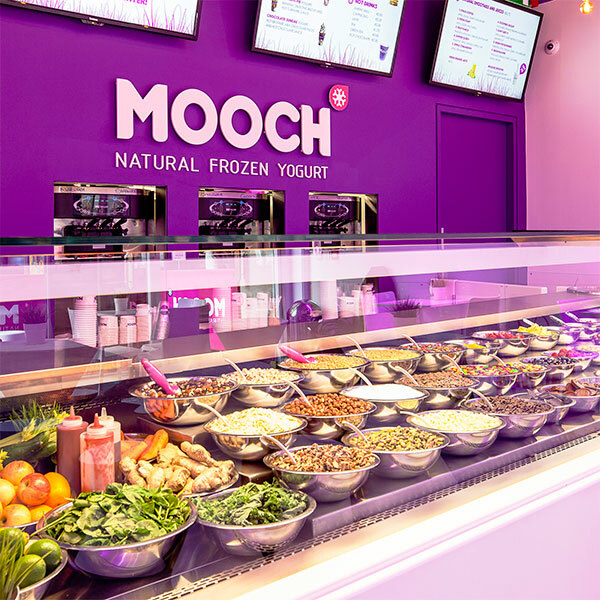 Dublin’s top frozen yogurt shop Mooch defies the odds and insists that ice cream and guilt free can get along together! The Marshmallow protein balls from the range have proven to be a huge hit this month. 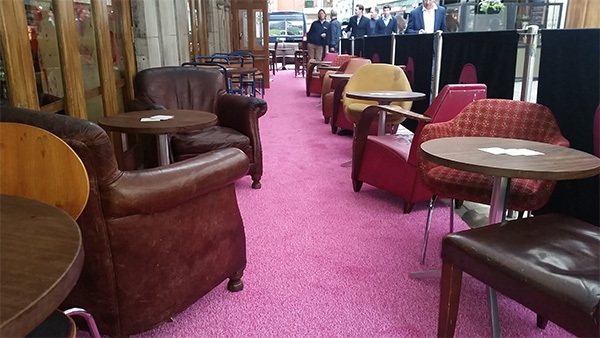 With the open area seating located out front this is a perfect space to relax with friends and of course people watch on Dublin’s ever busy Dawson Street. If you haven’t had after work cocktails or pints in the outdoor seating area of Pyg, do yourself the favour and tick this off your list asap! A knockout for drinks and people watching, Pyg Malion is set in the lane-way beside Powerscourt Townhouse on South William Street. Ideal for after work drinks, the seating area is adorned with homely sitting room furniture perfect for a big group and smack bang in the middle of people watching alley! 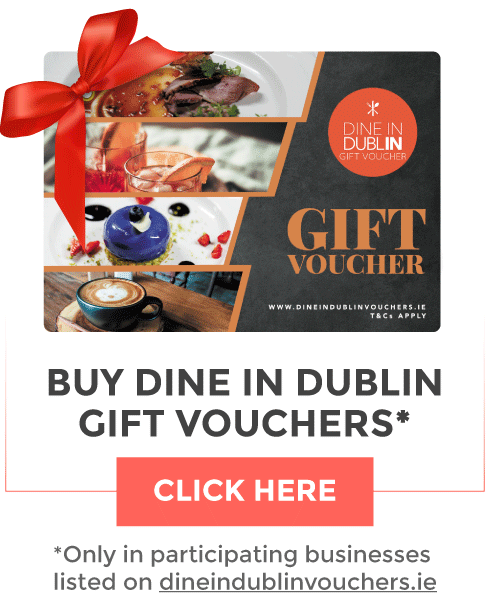 Don’t forget to share pics of your outdoor nibbles, treats & drinks using the #DineInDublin!